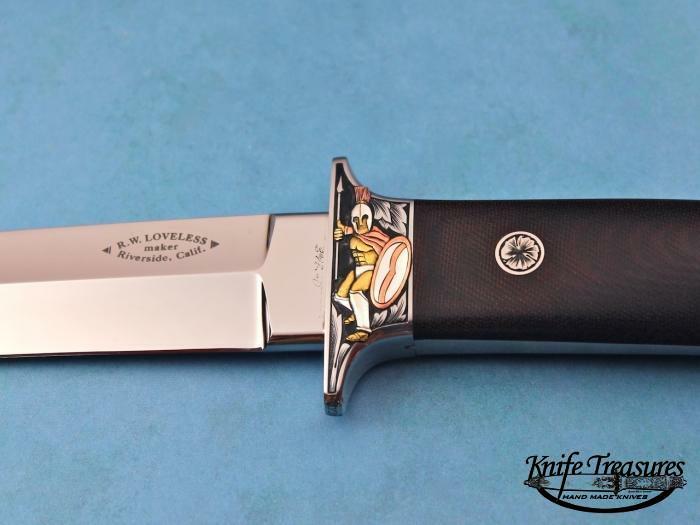 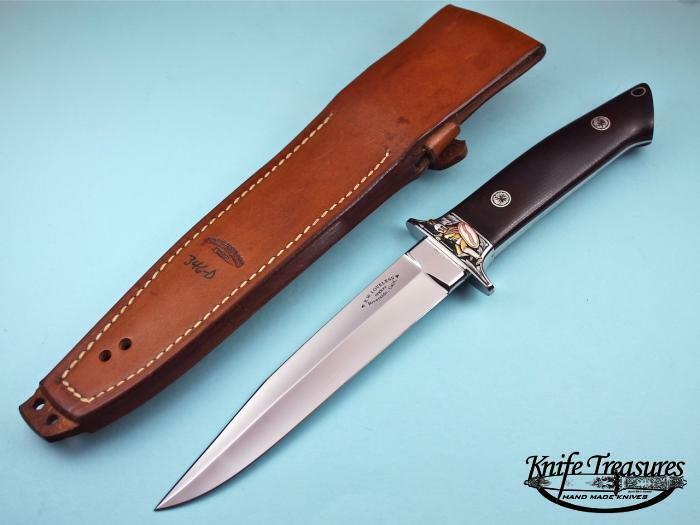 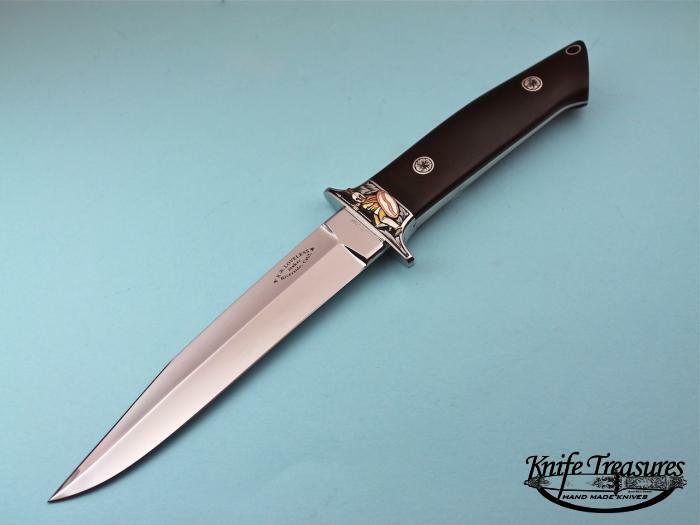 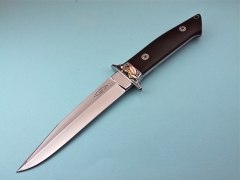 A beautiful, rare 6-1/2" Fighter from the Legend Bob Loveless. 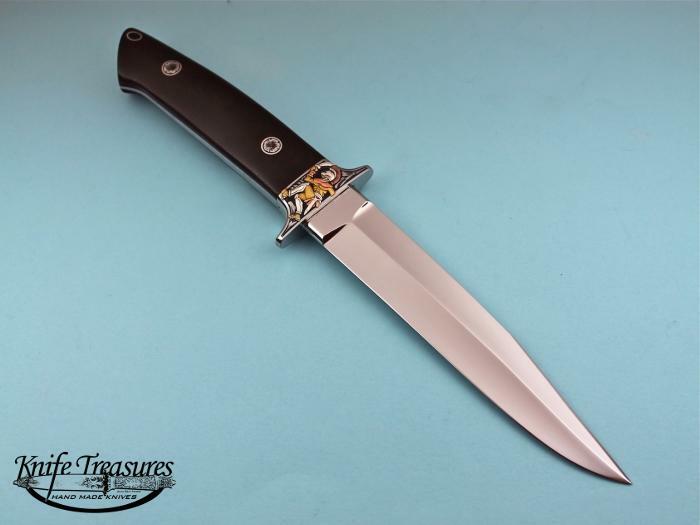 This knife has a larger bolster than normal, it was owned and sold in 1981 by Buster Warenski to a European collector who owned it the next 30 years. 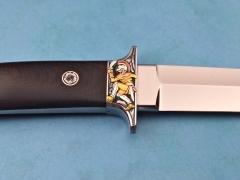 It was made in 1978-1979, a period that Bob worked alone at the shop. 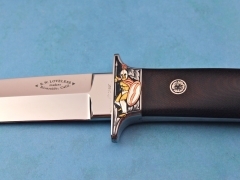 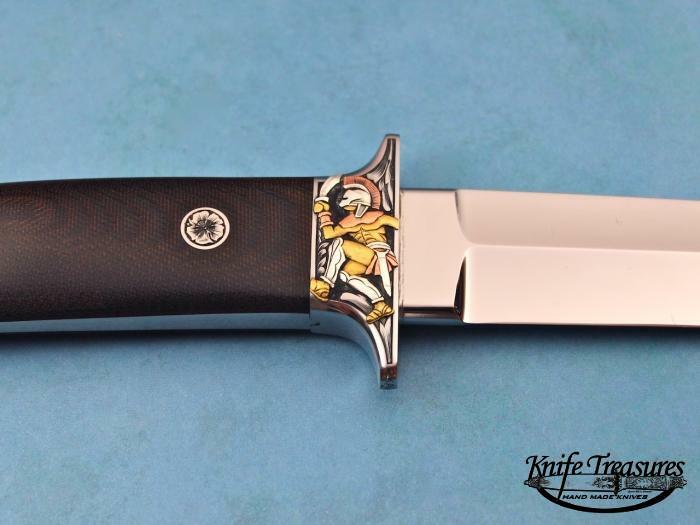 It has been engraved by Master Ron Skaggs in a Spartan Soldier theme. 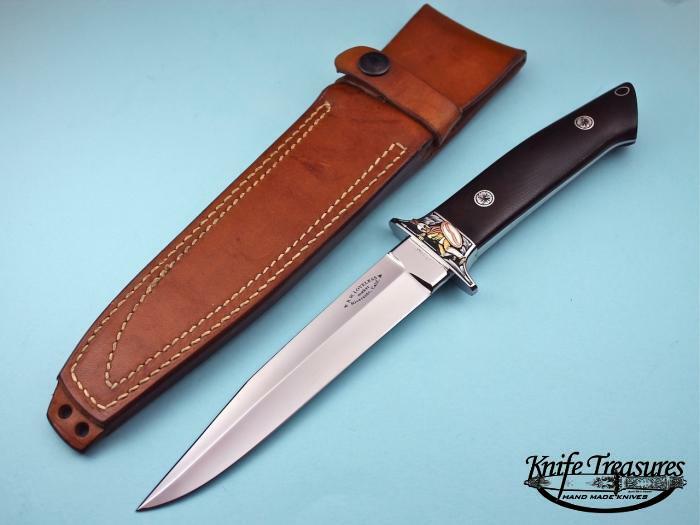 An incredible opportunity to acquire a knife by Bob Loveless himself.